CARE Dog Rescue have new dogs coming in daily. There are all types, shapes and looks. We do not get many small dogs, but from time to time small dogs do come along. So you never know, your ideal companion may be with us now and looking for a home. 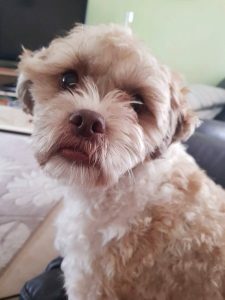 Please phone CARE Dog Rescue on 01493 653955 to discuss the type of dog you want, so that we can do our best to match the right dog to you and your family. To make sure you see the latest updates to the website, please hit F5 on your computer. If you find a dog you like, please give us a ring. 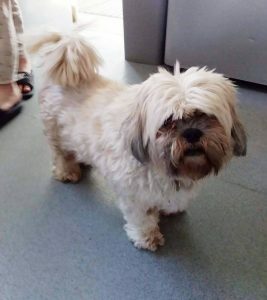 TAZ – Shih Tzu X ? 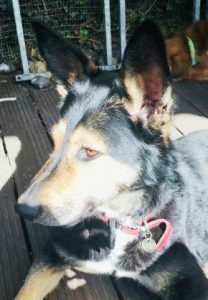 (Lily’ s pup), Male (Neutered), 3 yrs 6 mo (DOB 5 Aug 15), Chipped, a medium-sized dog, Good with children (lives with 3) and dogs, Lives with cats, He is very sweet natured and absolutely loves playing with a ball, playing fetch in the garden. 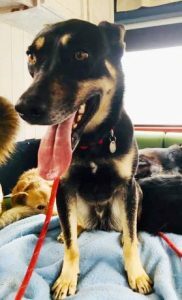 He is a very intelligent dog and enjoys learning and training, Taz loves a cuddle on the sofa and thinks he’s a little puppy with the longest eye lashes!! 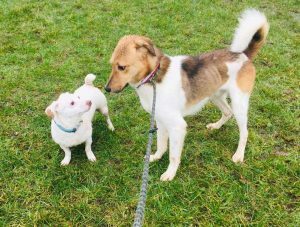 He has always been with Lily so is not used to being an only dog so ideally he should go to a home with another dog, female preferably. 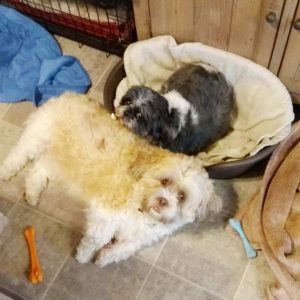 Rehomed due to breakup of partnership, much loved dogs but owner realises they will be better exercised and cared for financially in a new home. MARIUS – Labrador? 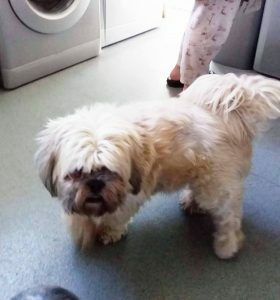 x, Male (Neutered), 5 years old, Vaccinated, Chipped, vet checked and disease free, Has Pet Passport. 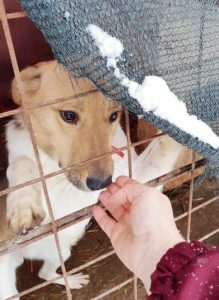 Marius is good with male and female dogs as he lives with both. He has not been around children and we would therefore not want to place him in a home with young children. 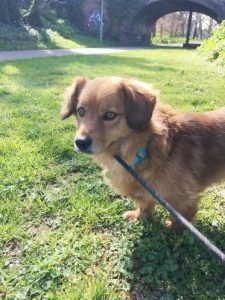 Marius has been staying with a vet in Romania for around 3 years as she did not want him in a public shelter. This vet helps dogs where she can and homes thru UK rescue when possible. 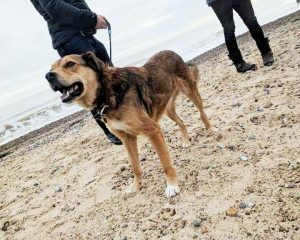 When he arrived he was in a panic escaped from the foster home and went on the run for 3 days, many people made extraordinary sacrifices to catch him for which we are very grateful! 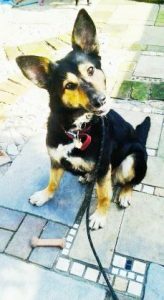 Marius has been in or home with our other 8 dogs and is doing well. 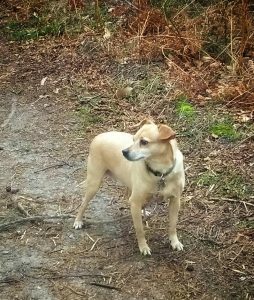 He is clean, he is a gentleman with the other dogs, he is starting to bark at strangers in the home and getting over some of his fears and previous experiences in the past. 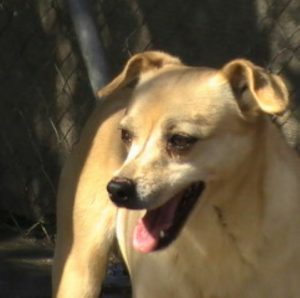 He is timid but friendly and is a nice dog who will make a lovely pet. 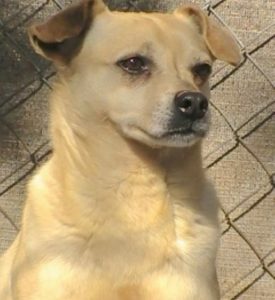 He will need a secure garden, and a family who will be kind and reward oriented to build a bond of friendship and trust with him. 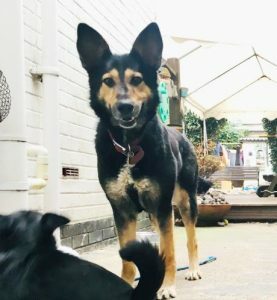 He is a fantastic boy and will be a loyal friend. 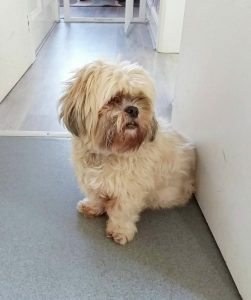 Phone Daphne on 01493 653955 for more information about this dog. 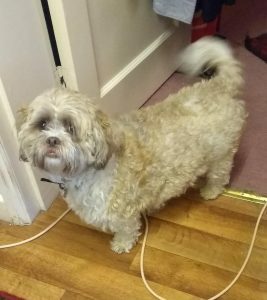 HENRY – Lhasa Apso, Male (Neutered), 9 years old, Chipped, Very friendly and nice boy, a good pet dog but can be a bit grumpy sometimes, Henry is a typical aloof Lhasa who wants to be with the family but does not like a lot of fuss. He was a bit overweight but that will soon go with some exercise on walks. 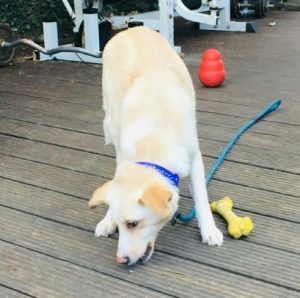 If you want a dog that doesn’t need much exercise, that is not very demanding, that gets on with most dogs, that is an absolute independant delight then call for Henry. Henry’s mom passed away and the family are working full time so the dogs are left alone for up to 12 hours a day. Now in a foster home with a small Yorkie female and doing well. He has bad ears which are being treated and much improved. 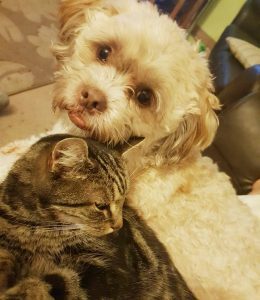 The trial home for Tashie didn’t work out thru no fault of his, so our special boy is back with us until a special person comes along. 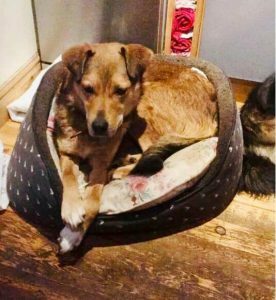 His Mother was abandoned when heavily pregnant on an Industrial estate, She was taken to a local Dog Sanctuary where Tashie was born. 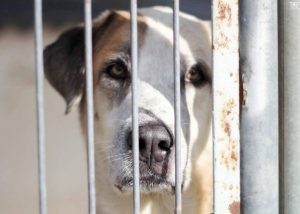 He has been in shelter all his life and deserve a loving home, He is here in our home with our 6 dogs and doing well. 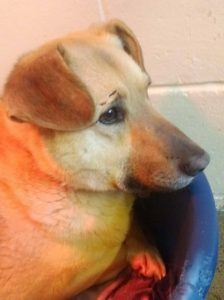 He is now coming out to get treats with the other dogs and going for walks every morning which he enjoys at his pace, started to sniff and mark now so a sure sign of more confidence. 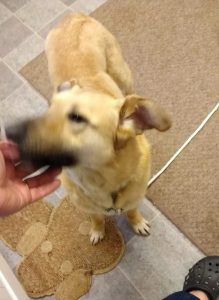 TILDA – Mastin, Female (Neutered),. 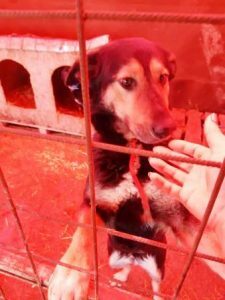 2 to 3 years old, Chipped, Vaccinated, Blood tested clear of all Mediterranean diseases. 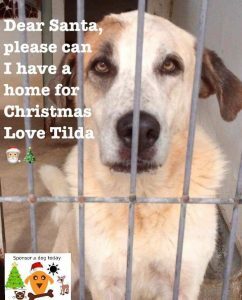 Tilda has been in the Benidorm shelter since Aug last year, she shares a cage with large and small dogs and gets on fine with them all. Tilda is a bit timid at first but very soft and lovely when she gets to know you and trust you. She is one of the gentle giants, a very special girl. Tilda is ready to travel to the UK and we will bring her here on Apr 26. 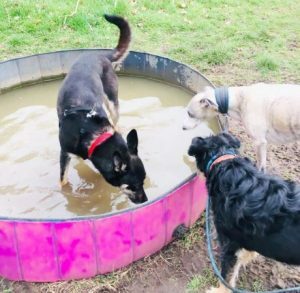 The dogs below are shown on behalf of Life into Balance Dog Rescue which is run by our friends and is separate and independent from CARE. Pretty little girl Diya is 3yrs Old (D.O.B according to passport 1.5.16) . 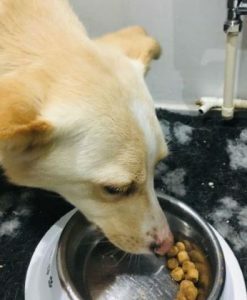 Diya (means Bright Light) is very sweet and just a little bit shy, a really lovely small sized dog She and raven are clinging to each other at the moment, they are the smallest dogs here and are finding it all a little bit scary, but they are very much enjoying their food and soft beds. 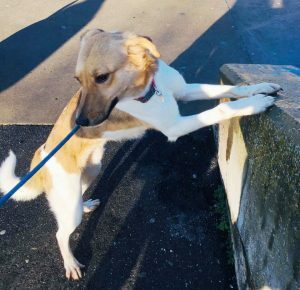 Diya has started playing with the other dogs, she is walking on the lead and enjoying herself now that she has had some time to get used to it all. 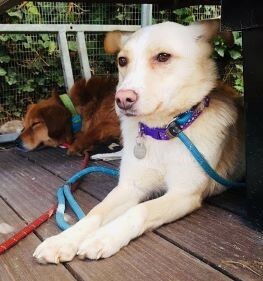 Diya is vaccinated, chipped, neutered and has her own pet passport. 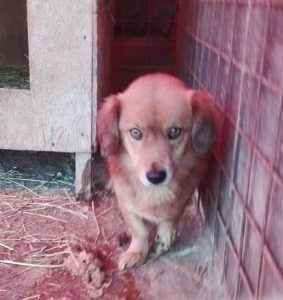 Little boy Dash was dumped at the public shelter in Romania. He was very sad,, shy and always hiding. He is 2yrs old, DOB according to passport 01.06.16 . Dash arrived here 23.3.19 and is settling in really well. He is sweet and friendly to us, allowing us to groom him and pick him up. I took him for his first walk and he loved sniffing and looking around him, loved the grass under his paws. 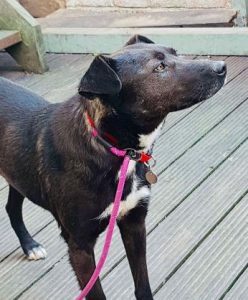 Dash is getting along with all the other dogs and at this stage appears to be every bit as sweet and kind as he looks. He is Corgi kind of size and can only be described as adorable, he is neutered vaccinated chipped and has a passport. 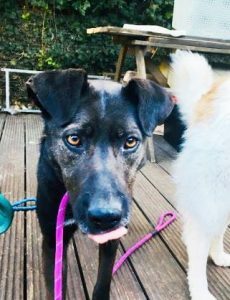 Boadicea – is a very dear girl. Shy and nervous she needs time and lots of love. 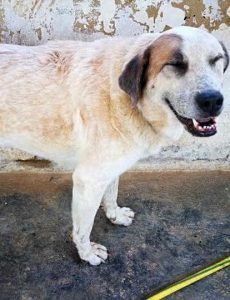 Boadicea is 3 – 4 yrs old, she waited for over 2yrs in the public shelter. Here in our home she is doing better than expected as she was so anxious in the shelter. She is more bronze than black close up and is unusual to look at . Relatively calm considering what she has been through. She is walking nicely on the lead but is a little bit nervous. She will be looking for a home when she is ready. 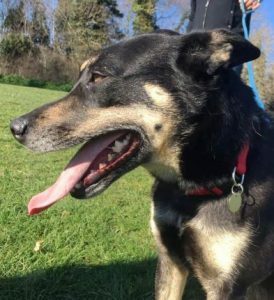 Somewhere quiet, patience will be needed for this lovely girl. She is neutered vaccinated chipped and has her own passport. 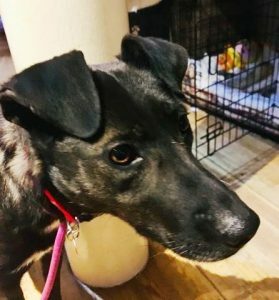 Odin – Beautiful young Boy 2yrs old in February 2019. We have re-homed Odin’s brothers Otto and Omar and his beautiful sister Oprah. They are part of a litter of 10 puppies found abandoned in a cave in Spain. Odin is a great dog, he is good off the lead and very smart. 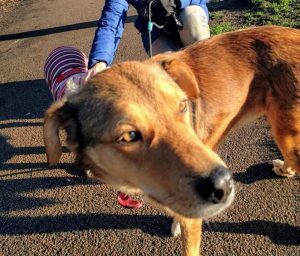 He can be excitable and pull on the lead, more so when he is with the group of dogs. he is less confident and more reserved on his own . 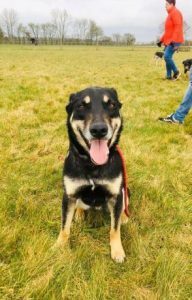 We feel that Odin would be best re-homed with some one that has some experience with dogs. Good with children. Interested in, but not aggressive with cats. He loves to play but again can be a bit full on. In the right home Odin will be awesome. 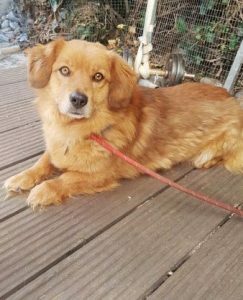 He is neutered, vaccinated and chipped has his own passport. 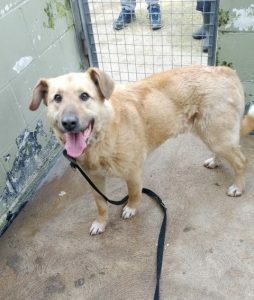 Karma – 3-5yrs old, is a large, beautiful, friendly girl .There is most likely some G/S in this girl she is fairly big and strong but very gentle and kind . Her ears are magnificent! She is playful with the other dogs. I haven’t seen her be overly rough or nasty once, even the little dogs like to play with Karma. 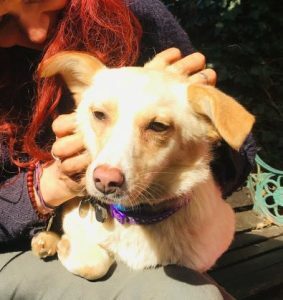 She is a little bit excitable but generally a very steady dog – she is walking on the lead – has met children – walked on the road in traffic and is really a star of a dog – Karma is neutered, vaccinated and chipped with her own passport – Her passport has her age as 5 (this is a guesstimate by the Romanian vet) but I honestly think she is younger as she is so full of beans and her teeth are great. Regardless of her age she is a fabulous dog. 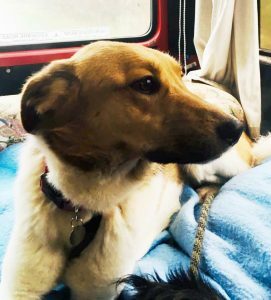 HUGO – What a beautiful boy – Hugo is 2yrs old and has come to us from Adjud public shelter in Romania where volunteers work very hard for the dogs but supplies, food and facilities are inadequate – dogs are hungry, scared and overcrowded. 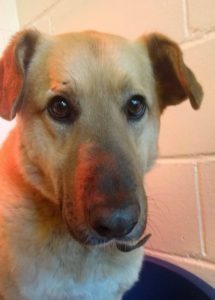 Hugo is nervous and will take a little patience but he is a handsome, beautiful, gentle soul. He is vaccinated, neutered, micro chipped and has a passport. Already his character is showing as he is hoarding all kinds of toys and tea towels and things he finds in his bed. 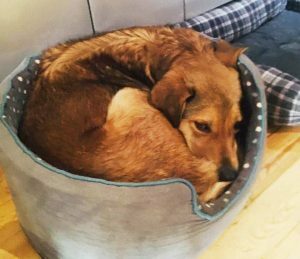 He is quite a large dog but doesn’t seem to know it as he is timid with feisty smaller dogs, but he is starting to play with some of the gentle small dogs in our house – even letting the little ones get into his bed with him. He is living here with 15 other dogs and I haven’t seen him as much as grumble or snarl. 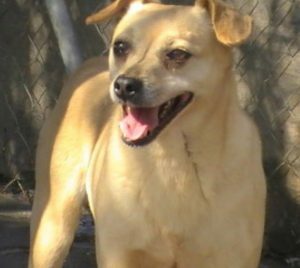 This is a beautiful boy – just waiting for someone to love him. 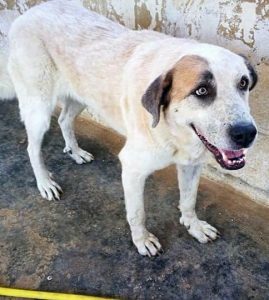 BRUCE ARTHUR – is a beautiful boy – so named after his sponsors Father – This is a large size, very handsome dog. He seems to think he is small, he always crams himself into a very small bed : )) He is quite nervous but is beginning to show happiness & excitement when he greets us and out on his walks, he is a very gentle boy, never argues with the other 15 dogs here and is submissive even with far smaller dogs. Bruce is 4yrs old according to his passport but I would have guessed him as a bit younger. 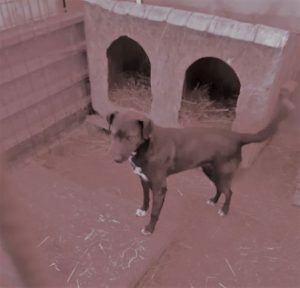 Bruce had been in a public shelter in Romania for over a year when we bought him here. He is vaccinated, neutered, micro chipped & has his passport. 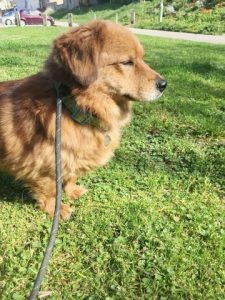 This wonderful dog is just about ready to begin his new life and I am certain he will be a very loyal and loving companion.